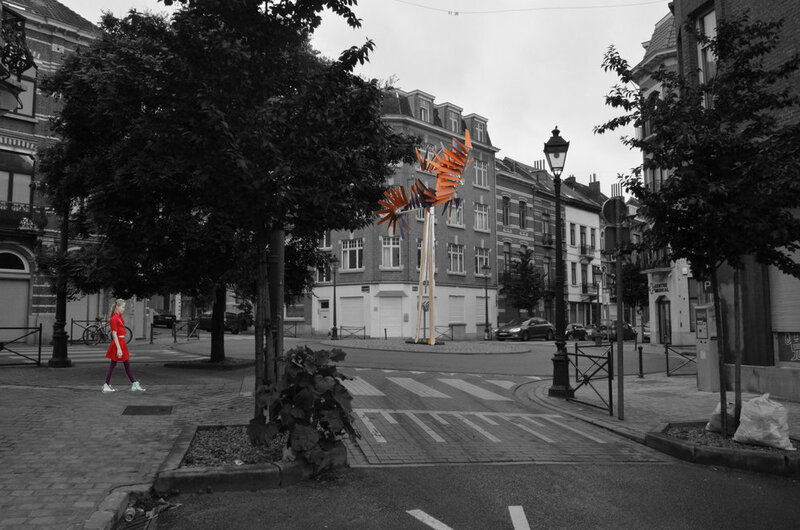 In the context of the community project "Gray-Chasse", a public artwork will be erected on the roundabout of Rue de Theux - Rue Capiaumont by the artist Sabine Lemache, the primary school t'Regenboogje, and the art school RHOK. 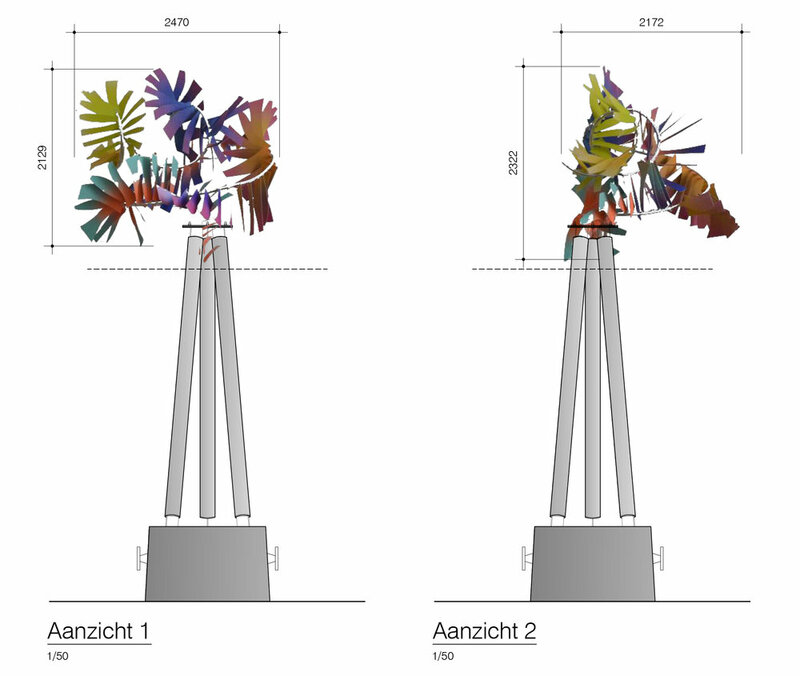 The colourful artwork consistst of aluminium tubes and foils, and is mounted on wooden poles 4m above the road. BLW provides architectural support for the building permit and construction site, as well as structural engineering for the poles and foundation.